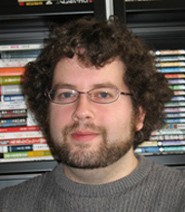 Matthew Penney is an Assistant Professor at Concordia University in Montreal and a Japan Focus associate. He is currently conducting research on popular representations of war in Japan. His dissertation, entitled "Victims and Victimizers - Representations of War in Japanese Popular Culture," is concerned with Japanese historical memory and popular attempts to deal with war crimes and aggression from the 1950s to the present day. He is the author of a number of articles, including "Rising Sun, Iron Cross - Military German in Japanese Popular Culture," Japanstudien, Vol. 17 (2005); and "Far From Oblivion - The Nanking Massacre in Japanese Popular Writing for Children and Young Adults," Holocaust and Genocide Studies (forthcoming). Heroes or Victims? - The "Fukushima Fifty"